Vladimir Putin had a telephone conversation with President of France Emmanuel Macron at the initiative of the French party. Vladimir Putin had a telephone conversation with President of France Emmanuel Macron. Vladimir Putin asked Emmanuel Macron to convey his condolences to people on the France’s islands of Saint Martin and Saint Barthelemy, which have been hit by hurricane Irma. As per the agreements reached at the top level in Versailles on May 29 and in Hamburg on July 8, the two heads of state have adopted a decision to launch the Trianon Dialogue civil society forum. The new cooperation mechanism has been established to strengthen ties between the general public in Russia and France. The presidents have appointed the forum’s co-presidents and executive directors. Russia will be represented, respectively, by MGIMO Rector Anatoly Torkunov and Ambassador Alexander Orlov, who is completing his term in France. The respective French representatives will be former Ambassador Pierre Morel and President of the French National Commission for Public Debate Christian Leyrit. The two leaders also discussed issues on the international agenda, including the situation on the Korean Peninsula. They strongly condemned North Korea’s provocative activities, which have been conducted in gross violation of UN Security Council resolutions and global non-proliferation principles and are creating a serious threat to regional peace and security. They pointed out that UN Security Council Resolution 2375, which was adopted unanimously on September 11, provided a commensurate response to Pyongyang’s irresponsible actions. The presidents of Russia and France expressed a common opinion that any further escalation of tensions on the Korean Peninsula would be unacceptable. They pointed out that this is fraught with grave consequences and that this complicated problem should be settled exclusively by political and diplomatic means, including the resumption of direct talks. When discussing the internal Ukrainian crisis, Mr. Putin and Mr. Macron pointed out the importance of full and unconditional compliance with the agreements reached by the conflicting parties, including the so-called school truce, which has been coordinated by the Contact Group and supported by the Normandy Format leaders. Vladimir Putin urged Emmanuel Macron to support the Russian initiative on establishing a UN mission to provide security for the OSCE Special Monitoring Mission (OSCE SMM) in southeast Ukraine. The leaders held an in-depth exchange of opinions on the situation in Syria. The President of Russia updated his French colleague on the Syrian armed forces’ achievements in the fight against terrorism, which have been made with support from Russia’s Aerospace Forces. It was pointed out that the international community must consolidate its efforts to finally eradicate the seat of terrorism in Syria. The presidents also discussed some aspects of the work that is underway in Astana to create and ensure the operation of de-escalation zones. Both sides pointed out that further efforts must be taken to promote a political settlement of the Syrian crisis. They expressed readiness to build up Russian-French coordination, including within the framework of the UN-led process in Geneva. Emmanuel Macron also advocated the French proposal for a contact group on Syria composed of permanent members of the UN Security Council and other countries that can facilitate normalization in the Syrian Arab Republic. The presidents have agreed to step up contacts on the international and bilateral agendas at the top and other levels. 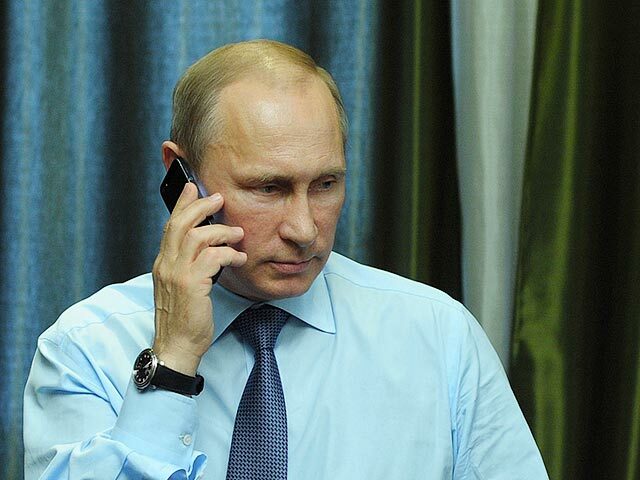 0 Comment to "Emmanuel Macron telephoned Vladimir Putin"